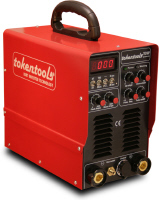 There are numerous local resources to aid welding and living close to a shop that sells welding equipment is a bonus. Local welding stores are a great resource for welding equipment and welding supplies that can be obtained without driving to the other side of the city, but what do you do when you live in a regional area and there is no local welding shop? Traditionally you would need to travel to the next large town and pay a price for the priviledge.